When you are looking for a recorder, you are going to find that you have a lot of options in front of you. After you assess your needs, you will need to decide what type of recorder will be best for whatever project you have planned. The R16 makes the top of the list because of the excellent built-in guitar effects processor and amazing mixer and mixing capabilities. Some questions you might ask yourself are, does it need to be a portable, or a multitrack recorder? How much can I afford? Do I need a lot of features? Once you decide on your needs, and your budget, you need to do some research and make sure the recorders you are looking at have the features you need for your recording project. Here are a few tips on what to look for, and a few reviews to help you start your search. 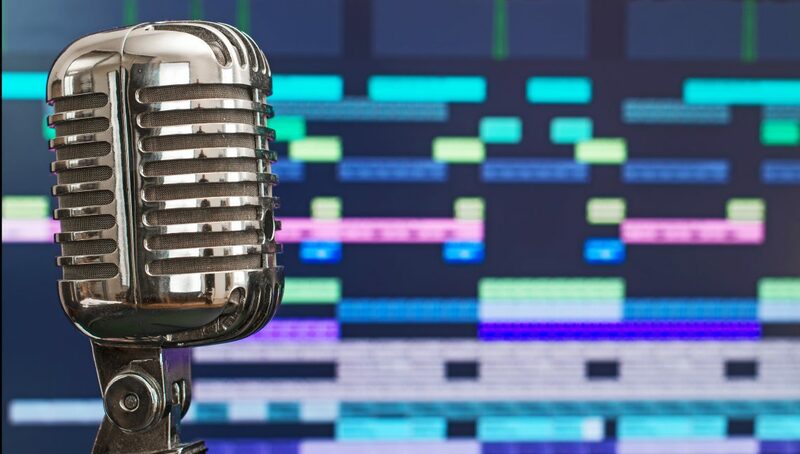 A multitrack recorder is different than a portable recorder in that you can’t carry it around easily, and it records separate tracks that can be put together to create a bigger, more complex configuration. This is, and has been for some time, the traditional way musicians lay down the different parts of a song, before the existence of computers. You can lay down the guitar parts first, then the drums, then the vocals, etc. There are several different models in this category as well, so again, it all depends on preferences and budget when it comes to choosing a multitrack recorder. Budget – If you are on a tight budget, there are some fairly affordable multitrack recorders on the market, especially if you are just looking for a basic, straightforward multitrack recorder that will record eight to sixteen tracks. Keep in mind, the more tracks a system can record, the more expensive it will be. If you have the budget and the inclination for a higher-end recorder, there are a lot that have the bells and whistles you may need to create your next masterpiece. Small-format – These are used most often in a home studio, and by those that want a basic multitrack recorder and are not interested in a ton of features. They will be able to record a reasonable amount of tracks, and they come with good quality audio that is decent enough for most recordings. They are somewhat portable and work with other gear that you have with in and out ports. 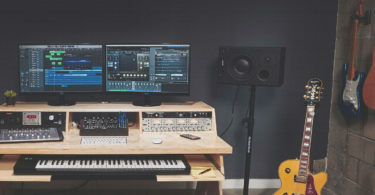 Large-format – These are a little thinner in size and look like a rack, they are used by professionals that want to create a full-format station in their studios. These recorders can work in a home studio as well, but they have a higher price tag due to their superb audio quality, number of in and out ports, and lots of other advanced features. Field recorders – When you are recording outside of the studio, you usually use a field recorder. They often come with built-in mics, built-in tripod connectors, and other features. Portable recorders – Portable recorders can also be used as multitrack recorders, and they are the handheld, smaller-sized models. You can use them for music videos, concerts, field recording, interviews and more. Tracks – One of the most important things to think about is how many tracks you will need to record. Once you make that decision, then you need to make sure the multitrack recorder you are looking at can accommodate that number. All multitrack recorders come with a preset number that they can record, including 8, 16, 24, and 32 tracks. Additional Features – If you don’t want a lot of features, then you will save money. The more features you decide you want, the higher the price tag you will be looking at. You can add features like metronomes, portability, multiple XLR inputs for external mics, and simultaneous recording. These are all subjective, and dependent on how you plan to do your recordings in the future. Meant for handheld audio recording of any type or on-the-go recording, a portable audio recorder is a small tool that can be used in interviews, music, rehearsals, and all sorts of situations. 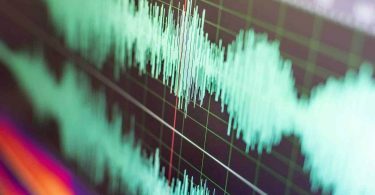 Traditional voice recorders don’t offer the same qualities as a portable audio recorder, like the better audio quality preferred by professionals, extra memory space, advanced microphone builds, additional features, and much more. 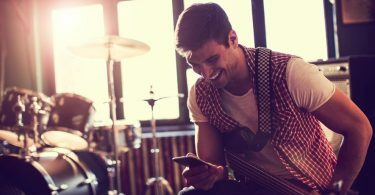 There are various types of recorders in the recording industry; the portable recorder can be a great tool in rehearsals so that you can listen to the music later on. It can also be used when you are inspired with a music idea and you need to sing some of into the recorder to be used sometime in the future. The best handheld recorder for you depends a lot on your wants and needs, so it is a totally subjective decision. Some of the recorders on the market have tons of features, but they may be a lot of features you do not need, especially if you just want to simply record audio with no extras. If you are looking to record some audio using filters, XLR inputs, and want noise cancellation technology, then you will be looking at some of the higher quality models. Here are a few things to keep in mind as you are shopping. Budget – You can find quite a few handheld recorders at an affordable price. If you want one of the best models, you will be looking between $100 and $200. Tracks – How many tracks do you plan on recording? Some recorders will only record a certain number of tracks, so make sure that if you want to record four, the recorder you buy can actually do that. Memory – Some recorders will take a microSD card or an SDHC card, and others don’t. Make sure to pay attention to what the recorder will use for memory, and how much it is capable of holding. If you plan to do a lot of recording, you need to double check and make sure the recorder you are buying can support that. You will find that most recorders will accept any size of a microSD card, and others may have a sizable internal memory that is enough for your needs. Extra Features – These can include filters, playback slow-mo, LCD screens, and effects. 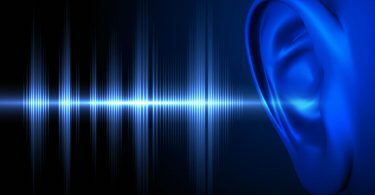 This is a totally subjective section, and is completely dependent on what you want for your recordings. Internal vs External Mic – Some recorders come with an interchangeable mic that can are attached at the top of the model. Other recorders have built-in mics, so you don’t have to worry about the extra pieces. This is another personal preference, so just make sure the recorder you are looking at has the type of mic you prefer. Accessories – You can have all sorts of accessories if you prefer. Carrying bags, tripods, windscreens, and popper stoppers are all options pieces. But remember, the more stuff you get to go with your camera, the more pieces you have to carry around. 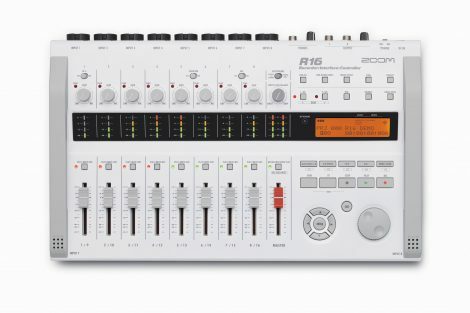 The Zoom R16 Recorder/Interface/Control effortlessly mixes an audio interface with multi-track recording and control surface capability all in one portable production studio, so you can take your recording session anywhere. It simultaneously records eight tracks, or even captures audio for a video or film. This multitrack recorder lets you easily create a professional sounding recording with an up to sixteen track playback with a 16/24-bit linear WAV format and a 44.1kHz sampling rate. The Zoom R16 works as an audio interface as well allowing you directly input sound into your computer with the support of a high-end 24-bit/96kHz encoder that guarantees great sound. You can use the eight input channels and the two output channels at the same time, and if you are sampling at a rate of 44.1kHz, you can also use the R16’s internal DSP effects on your computer tracks. You can adjust the mixing balance with a dedicated control that allows you to move in between the direct sound for monitoring and the DAW playback sound. You can also use the R16 in controlling the mix operations of the DAW software, so you can have better control and feel when you are mixing. The major DAW applications like Logic, Cubase and Sonar are supported in the Mackie Control emulation mode. The Zoom R16 can make a synchronization signal that is based on USB data transfer timing, and it is the first recorder to do so. When you connect both of the R16 units through the USB, you have the ability to choose one to function as a USB host, and the other to be a USB slave, which allows you to synchronize the transport operation. This enables you to record up to 16 tracks at the same time, and it lets you expertly handle a live gig. The Zoom R16 also features high-sensitivity built-in microphones so that you can record acoustic instruments and vocals with superb clarity. It also supports SD and SDHC memory cards, and there is no motor that will disturb you recording, or worry about a hard drive that can crash from external vibrations. There are eight configurations for mic/line input jacks that can support line-level signals and mics. Channels 5 and 6 give you phantom power to use with condense mics, and channel 1 is the Hi-Z switch that supports a guitar or bass. The dedicated master track allows you to do a mix without a master recorder, and you can use sequence play to work on several projects that can be mastered collectively and played automatically. There are 135 types of digital effects that are preprogrammed for mixing, recording, and mastering. There are seven modules with formulas for the insert effect that is improved for bass, guitar, and vocals. There are also two send/return effects available that allow you to use up to three effects at the same time. Eight channels can be handled at the same time by a compressor and equalizer, plus there are an onboard tuner and metronome. The built-in tuner on the R16 is an awesome feature so that you can quickly tune your instrument, or check the pitch of your vocals. The metronome gives you a click track for your drummer during recording sessions, and it is convenient for rehearsal. You can hear the metronome in your headphones in case you want to use a previously recorded backing track while you are performing. Editing is very easy with A-B repeat playback, plus auto punch-in/out that makes it easier to re-track part of your recording. The Boxx BR-800 is portable, battery operated studio on the go. It is an affordable multi-tracker that you can take with you anywhere. It has a new modern design that is equipped with touch-sensor switches, and it has SD-card recording media, so you can record up to four tracks at the same time. There are also eight tracks of simultaneous playback, and it has an additional stereo track that is dedicated to a built-in rhythm generator. The BR-800’s has an incredibly powerful onboard effects processor that gives you GT-10/10B effects, VE-20 vocal effects, plus harmonies. The Boxx BR-800 has an EZ Recording feature that interactively guides you through the recording process, and a built-in stereo microphone that gives you is instant “Song Sketch” recording. The on-board effects are decent sounding, and they are mainly used for bass, guitar, and vocals, and, if you don’t have a mic, there is a built-in stereo condenser microphone, plus an advanced drum machine that has editor software included. The Boxx BR-800 is available for $449.99. The Zoom F8 is a field recorder made for serious sound designers and filmmakers. It has an eight input and ten track recording with very low-noise preamps, plus it can support 24-bit/192kHz audio to capture the highest-quality audio. It is a higher priced multitrack recorder, but you get your money’s worth. It is both an audio recorder and mixer, with multiple XLR\TRS combo connectors, a few high pass filters, and high audio quality of 24-bit/192 kHz. It also features an aluminum chassis with a protective body that only weighs two pounds. It has a ton of high-quality mic preamps, each with phantom power of +48 or +24 V, and it supports SD, SDHC, and SDXC cards up to 512 GB, so you have plenty of room for all your masterpieces. It also comes with a built-in tripod mount and a built-in slate mic/slate tone with front panel switch. The Tascam DP-006 is an easy to use home recording device. Tascam is a name that has been used by influential artists, and they have helped to create many legendary albums over the years. They create durable, compact recording tools, and their latest mode, the DP-006 is one of the best compact multi-track recorders available, so small that is often called the Pocket Studio. You can take it anywhere to record, and you will have a demo CD-quality audio that records up to 2-tracks at a time before you know it. It is created with handy front-loaded condenser mics that are great for fast on the spot recording when you feel inspired. Tascam’s top-selling DR series is the model for the DP-006’s mics, so you will definitely get a top-quality recording. There are two inputs on the rear of the unit so you can plug in your instrument or dynamic mics, plus the sock on the bottom is for easy stand mounting. Tascam’s DP-006 is easily portable, and it works off of 4 AA batteries that are included or an external power supply. SD cards are the media of choice, and they help to increase produce longevity, portability, and reliability. There is also a USB connection built-in, so you can easily transfer songs and tracks. 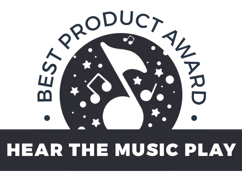 It is also the perfect scratch-pad if you are a songwriter, beginning musicians, or a traveling musician, and it is outfitted with a tuner, metronome, built-in mics, 1/4″ inputs, and easy-to-use controls. With so many features, the DP-006 can adapt to your demo-recording needs. The Tascam DP-006 is perfect for those that don’t want to spend a lot of money, and who don’t need a lot of ins and outs. There are up to six tracks of recording and great audio quality at 16 bit/44.1 kHz. You can also record two tracks at once, plus there are two built-in omnidirectional condenser mics. The DP-006 is also SD and SDHC compatible up to 32 gigs, has level\pan control, and has high-speed transferring with USB 2.0 connectivity to your computer. The Tascam DP-006 is available for $129.99. The Zoom H1 is a pretty handy little recorder, and it proves that good things do come in small packages. The super compact Zoom H1 is small enough to fit in your pocket, but it can still deliver a big sound. It is ideal for recording song ideas, or lectures and meetings.It has a built-in stereo X/Y microphone, along with Auto Level control and low cut filter. The Zoom H1 is perfect for capturing band rehearsals, live concerts, and for recording interviews with its lightweight and compact design. It records directly onto a MicroSD card and a MicroSDHC card up to 32GB, plus it supports up to 24-bit/96kHz WAV audio and several different MP3 formats.The Zoom H1 has a stereo mic/line input jack for plug-in power and a monitoring speaker and stereo phones/line output jack that comes with a dedicated volume control. The H1’s built-in X/Y microphone gives you two coordinated unidirectional microphones that are set at 90-degree angles in relation to each other. The X/Y technique gives you an awesome way to record over a large area, and it can still record sound sources that are in the center with definition and clarity, so it is ideal for any type of live recording situation. You can also use a set of external microphones or line level signal with the H1’s mic/line input mini phone jack if you want to do other types of recording. The line/headphones output also lets you plug in headphones or use other gear like a DSLR. The Zoom H1 is available for $104.99. Credit: TASCAM, a division of TEAC America, Inc. The Tascam DR-05 gives you high-quality recordings with an easy-to-use portable recorder for an affordable price. It captures audio in MP3 or WAV format to MicroSD or MicroSDHC cards in 96kHz/24-bit high-resolution audio. The DR-05 has two microphones that support up to 125dB SPL that are sensitive enough to obtain every detail. It also includes features like Quick Menu and Peak Reduction giving you the ability to record album-quality audio easily every time. The Tascam DR-05 has a 1/8” stereo input that allows you to add your own microphone or line-level source, plus it has plug-in power for microphones if you need it. It is a simple and easy recorder to operate with just your thumb, plus the ability to adjust levels, record, delete bad takes and add markers can be done with just the push of a button. The DR-05 also includes features like low cut filtering, limiting, and a built-in chromatic tuner, plus it includes classic Tascam features like Variable Speed Audition that lets you loop and slow down music without having to change pitch. It is also perfect if you have to transcribe music or learn new music. The Level Align function allows you to switch on playback, so you can smooth over any abrupt volume jumps. The DR-05 also has an omnidirectional microphone that is the opposite of Zoom’s X/Y that helps to get all of the surround sound. The LCD screen on the front helps you to navigate through all of the sounds, plus you are able to loop and repeat sounds, and you can also get a chromatic tuner EQ setting. The DR-05 is available for $79.99. The Tascam DP-008EX Pocketstudio has master effects and built-in inputs with conveniently loaded channels including pan, auto-punch in/out, volume, reverb-send knobs, 2 XLR Mic inputs that include +48V phantom power, and high-quality built-in stereo condenser mics. The DP-008EX is a perfect recorder to take anywhere. It also includes a built-in tuner and metronome, plus a convenient and fast USB data transfer. If you are recording straight to SD, you will have an easier time with your work flow and get your ideas going. The two XLR inputs that attach your studio mic help provide you with some higher-quality tracks, and the two ¼’ inputs let you add more instruments. It also has some great added features for the price since it is portable, has reverb, and you can record two tracks at the same time. The Tascam DP-008EX is available for $249.99. The Yamaha Pockettrak PR7 is a super portable linear PCM recorder that gives you high-quality recording no matter where you are. It is outfitted with crossed XY stereo microphone, so the PR7 can obtain high-quality stereo recordings that are consistently high-quality and have a natural sound. This is a great tool for any musician, and it can be used as a metronome or an onboard tuner, plus it is useful for recordings with features like marker editing and overdubbing. The Yamaha PR7 also has five optimized presets that are great in a variety of ways, so if you are working on a field recording, songwriting, rehearsing, or listening to a lecture, you will have studio quality sound from a super easy-to-use compact recorder. The Yamaha PR7 gives you the audio quality of 24-bit/96kHz recording that is the same quality as the higher end recorders on the market. The dynamics and high-pass filter control make the PR7 standout, and it is worth its price tag.